The first Thanksgiving at Plymouth in 1621 was a harmonious collaboration between the Pilgrims and members of the Wampanoag nation. 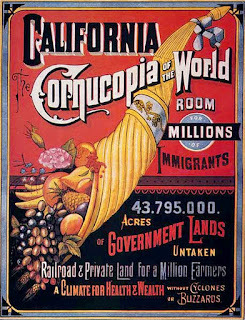 Celebrating the colony's first successful harvest it featured cornbread made from the crop that the Native Americans had taught the staving Colonists to grow. 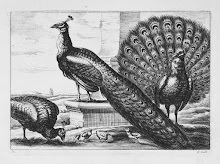 The banquet also included venison, wild fowl, eel, lobster, onions, squash, and berries. Relations between the settlers and the original inhabitants did not remain cordial. 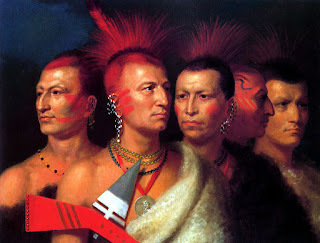 In the early nineteenth century the American artist Charles Bird King (1785-1862) was commissioned by the government to create portraits of Native American leaders and their vanishing life. 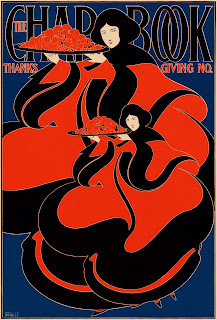 William H. Bradley (1868-1962) introduced Art Nouveau style to America in his 1895 Thanksgiving color lithograph for the literary journal The Chap-Book. The Boston born artist depicted two women wearing voluminous pumpkin shaped dresses and carrying abundant trays of food. 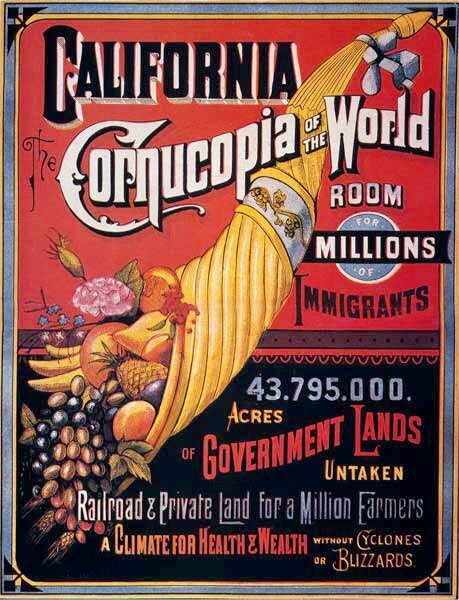 A poster from 1880 promotes California as The Cornucopia of the World. It encouraged farmers to migrate West to a new land of health and wealth leaving behind cyclones and blizzards.